From Emontoys. From Is the Order a Rabbit?? 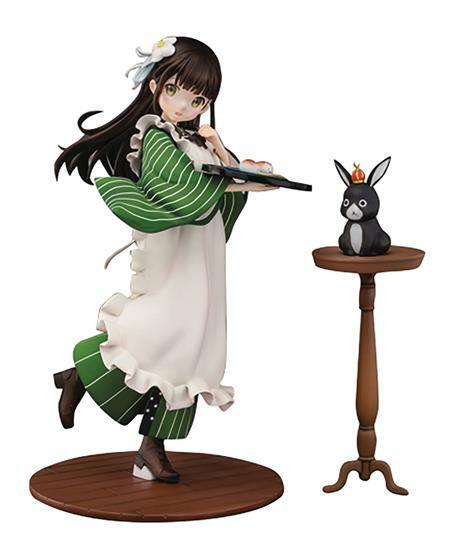 comes an adorable 1/7-scale figure of Chiya Ujimatsu! With a tray in her hand and one foot popped as she smiles, she looks too sweet and charming for words! Her tray features two traditional Japanese sweets shaped like animals, and she comes accompanied by her pet rabbit, Anko. This sweet Chiya stands about 9-inch tall.